Apart from the dust which i think i have mostly gotten rid of, how did i go with this? PP has been quite basic as my skills are non existent, did an auto enhance (in aperture) and took the edge of the snow using highlight brightness. I have fond memories of that place. The sky is a bit dark but, apart from that, you composed it correctly and it looks sharp. The only thing I would say, you made it look and feel so small. That's the problem with places like that, you can't get to a position to take a creative shot. But, you're one up on me, I have no pictures from my trip there so from a personal standpoint, it a memory for you and the large version does look pretty impressive. Me not having a pic does mean I have to go back though. Thanks for the critique brit, much appreciated. 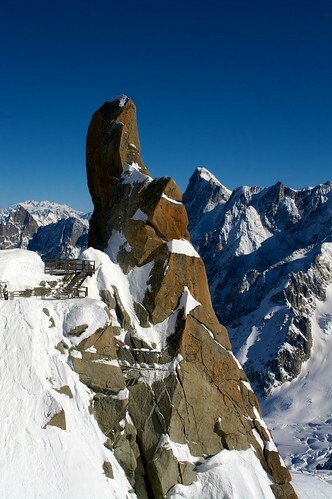 Chamonix was my first ever snow, i was like a 6yr old on xmas day (i drove my wife nuts). Now you mention the sky i feel as though i could have played with the white balance a little and/or dropped the aperture to maybe f11. An ND filter probably wouldn't have helped because of the rock sticking up but a polariser might have made a little difference. I love the exposure of this shot, the contrast is excellent. DB mentioned the sky is too dark, and maybe it is, but I love the gradient it gives. I agree with the scale though, this doesn't convey size well at all.